Smollett had reported to police that he had been attacked on Jan. 29 near his apartment building in Chicago by two people who yelled racist and homophobic slurs. Smollett never wavered in asserting the details of the attack. But the Chicago Police Department and the Illinois State Attorney filed felony disorderly conduct charges against him for “filing a false report.” The CPD claimed that Smollett had allegedly staged the attack by hiring two brothers, who were Nigerian, to carry it out. 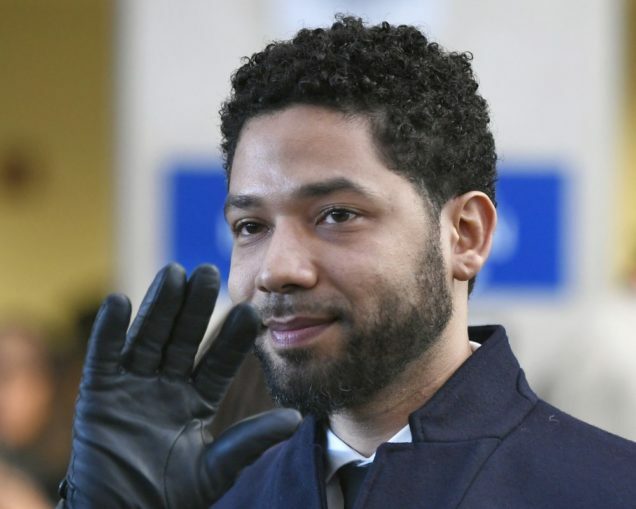 The criminalization of both Smollett and the Osundairo brothers began when information that the CPD was investigating Smollett was “leaked” to the media on Feb. 14. This accusation took no account of the CPD’s long history of convictions that relied heavily on confessions obtained through CPD torture. 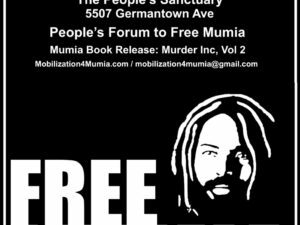 Corporate stations, nearly silent since the attack, then went into a frenzy repeating allegations made by somewhat famous, online fascist personalities and by the white-supremacist torturers of the CPD. 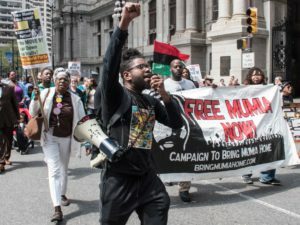 The transparent collaboration of the corporate media and the U.S. “justice” system revealed, once again, how capitalist interests are tied to maintaining and cultivating a system of white-supremacist patriarchy. To anyone who understands the intense danger of liberalism, his statement is less a defense of Chicago and more an indictment. In the skit, Jaboukie Young-White played the version of Smollet that the CPD and corporate media presented, an actor desperate for attention who stages his own hate crime. Ultimately, Young-White acts the buffoon along with the two men playing the Osundairo brothers. These were assigned a thick “Nigerian” accent — despite the brothers having been born and raised in Chicago. Despite these attacks against him, all charges against Smollett were dropped on March 26, leaving the city and capitalist media to shore up their racist defenses. The prosecutor who agreed to drop the case has stated publicly that he does not consider Smollett to be innocent. The mayor’s analysis of the situation is somewhat correct: If Smollett had been a Black person without the means to hire a lawyer and was instead left to an overworked, hostile, court-appointed defense attorney, he would likely still be in jail. Based on flimsy evidence and the words of the CPD, he would still be facing the danger of the white-supremacist courts of Chicago. For poor and working-class Black and LGBTQ communities of Chicago, the CPD dispenses what they call justice in the form of intimidation, torture and outright murder. In a Feb. 21 briefing, Supt. Johnson stated that Smollett “paid $3,500 to stage this attack and drag Chicago’s reputation in the process.” But the very idea that Smollett or any one person could damage Chicago’s reputation more than what the Chicago Police Department has done is laughable. Despite all this, we’re supposed to trust the word of the CPD in their investigation of a Black man who is openly gay? This same police force spent 13 months spinning a narrative that Laquan McDonald was “crazed” and attacked the cops who shot him. Then the finally released dashcam video proved his back was turned when CPD cops mercilessly gunned him down. We’re supposed to believe the “justice” system that on Jan. 17 acquitted the three CPD officers who attempted to cover up McDonald’s murder? The fact that any media outlet would report claims made by Chicago’s cops without mentioning their vile history is reason enough to find this “free press” guilty of cooperating with the white-supremacist state. The campaign against Smollett and all Black and LGBTQ people in the U.S. is not left only to the cops. Our capitalist ruling class has proven that their media outlets serve as the voice of the white-supremacist settler state. These lapdogs eagerly give platforms that cater to the interests of a select few racist billionaires, while actively promoting narratives which further oppression. Blaming individuals from oppressed communities, as well as political movements of oppressed people, for racist violence is nothing more than victim blaming. 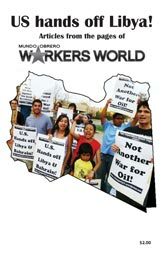 All liberation movements struggle against bourgeois state repression and big-business media propaganda, the enabling of hate crimes, structural violence from the U.S. police and military, extralegal violence from sanctioned vigilantes and neofascists, the theft of labor power and any other plan capitalists can devise. 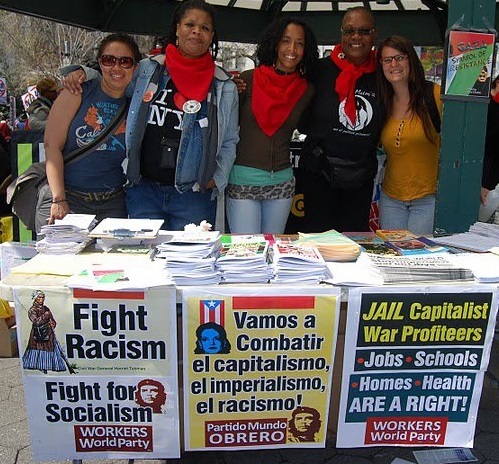 Whether it is the current U.S. attack on Venezuela, the murder of Black activists or any number of other hate crimes in the U.S., we can be sure that the capitalist media will side with and promote narratives that strengthen capitalist hegemony, patriarchy and white supremacy. Our duty is to resist and to put forward our own powerful narratives of resistance.